Something about that line really stuck with me. I suppose it forced me to think about my feelings about homeownership, now that I’m approaching my late twenties. I rent now, but do I want to rent forever? How important is buying a home to me? Is it part of the plan I have for my life? Do I think it’s a good financial decision? Have I thought about all the benefits and drawbacks to homeownership? Should I be actively seeking more information right now? I’m still working through the answers to all of those questions, but for right now I can fit my feelings about homeownership into this concise statement: homeownership isn’t a dream per se, but it does feel like an inevitability. I suppose I sort of take homeownership for granted in a way; growing up, no one I knew rented. All of my friends and family members were homeowners. Most people didn’t even own just one home – many of my friends’ families had second homes at the beach or in the mountains. To me, buying a home is just something adults do. But we all know that “everybody does it” isn’t necessarily a good reason to do something. 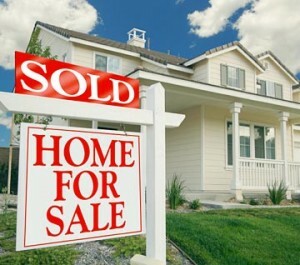 From an objective standpoint, I do see buying a home as a good decision if you can afford it. Sure, homes may not be the investment they once were, but after years of making payments you end up with something – a house! After years of making rent payments, you end up with…not a house. If for no other reason than that you’re actually buying something with those huge checks every month, buying a home seems like a good idea. Still, I don’t exactly dream of owning a home. I dream of traveling across Europe and Asia. I dream of owning a pair of Louboutins. I dream of living in New York City. Buying a home…eh. So I suppose this post isn’t very concrete one way or another about planning to buy a home or not, but I wanted to unpack my thoughts and ideas about homeownership a little bit and get some feedback. So don’t let me down guys! Tell me what you think about buying a home – dream? Inevitability? Not an option? Discuss!